Here is a sure-fire litmus test to evaluate advancement in Bhakti-Yoga. We should mainly apply the test to ourselves. I suggest that the test must be administered over prolonged periods of time, not just once. 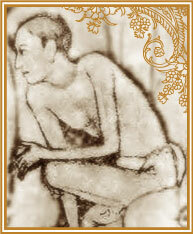 This test is derived from the teachings of Srila Rupa Goswami (BRS 1.3.25-26). How much do our problems disappear and become forgotten? How much do we feel lucky and wish for the opportunity to never end? How much do we not care for any physical needs that might impair or curtail the moment? How much do we feel grateful and lucky to have the opportunity? How much do we know that we can actually become a part of the lila we are hearing about!? How extremely enthusiastic are we to make use of this moment to make that accomplishment a reality ASAP? How much do we never tire of drawing out the moment indefinitely? How much do we desire to live in places where these moments are available in abundance? The more positively we answer these 8, the closer we are coming to Bhava (real, live, actual love of Krsna).